Who doesn’t love the versatility and convenience of protective styles? They allow us to express ourselves through creative styling while simultaneously giving our hair a break from the stress of heavy manipulation. With proper installation and maintenance, these styles can aid in hair growth and cut down on your time getting ready each day. However, imagine getting a fresh set of box braids or Goddess locs then boom! You’re plagued with uncontrollable itching, irritation, bumps or all of the above! This has sadly been the case for a number of women. 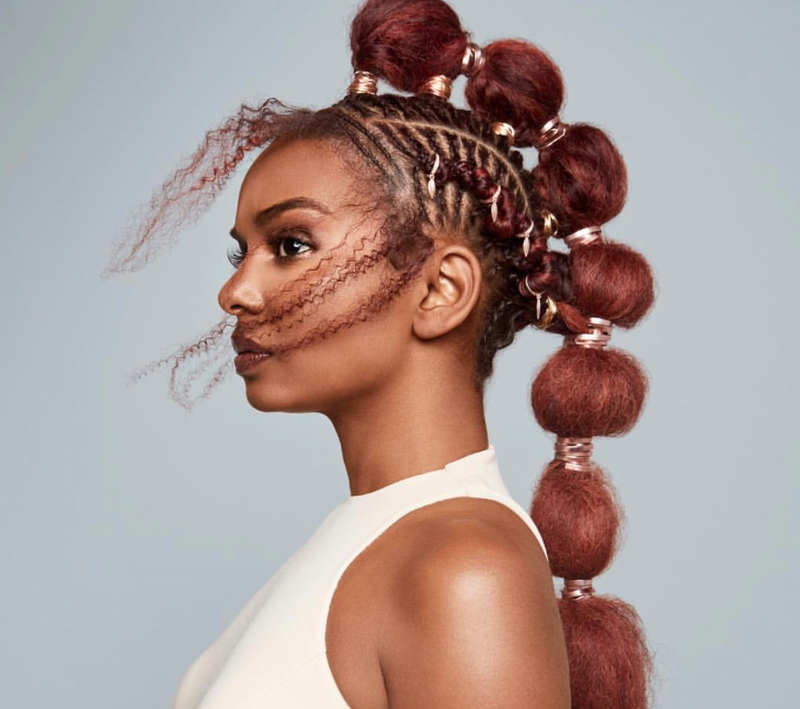 With so many pros to wearing protective styles, those of us who have found it difficult, or even impossible, to keep these styles in our heads for more than a few days due to scalp issues are left frustrated. We quickly learned that we were not alone. If you too, have ever experienced an itchy, irritated, flaky or crusted scalp a few days after getting a protective style—sans the protective style being too tight—then the culprit is more than likely the chemical that is on the hair. Synthetic hair is coated with an alkaline base purposed for keeping the hair resistant to heat and from clumping or sticking together. That’s all fine and good for the preservation of the hair, but very problematic for the scalps of many. Treating the hair to a simple process using apple cider vinegar or white vinegar will remove that alkaline base, and you can be on your way to comfortably rocking the protective styles of your choice. 2. Take a large bowl and pour anywhere from a ¼ to 1 cup of ACV or white vinegar (both will remove the alkaline chemical) into the bowl, fill the rest of the bowl with lukewarm water. 3. Let it sit for at least 15 minutes (I like to do it up to an hour to ensure it’s all removed). You will notice the water will turn cloudy with a bit of white film. 4. Rinse the hair thoroughly with lukewarm water. 5. Squeeze excess water from hair. 6. To ensure there’s no left over vinegar scent, gently shampoo the hair and rinse. 7. Hang hair to air dry. Once completely dry, it is then ready for use. Let us know if you’ve ever used this hack!